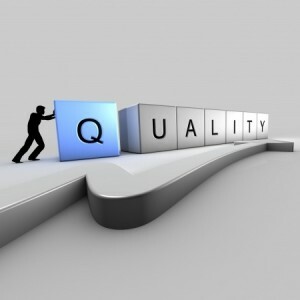 For several years, Google has left the same information about Quality Scores on their website – the same text and even the same video. It would stand to reason that little has changed about this metric over the years, but many within Google and outside of it beg to disagree. Nevertheless, we recently saw movement from the search engine giant on the subject, with an entirely new introduction video now being available on the subject. Reports suggest that older information simply needed to be updated and Google was responding to that. But that means that the nature of Quality Scores must have changed some, right? We’ll analyze some collected information about Quality Scores below and help you make the most sense of things. Google recently released information that suggests that most people should treat their Quality Scores as an indicator of severe over or underperformance, and not as a metric that must be constantly analyzed. Unfortunately for Google, not many people are listening to this, as we have clearly documented trends of Quality Scores impacting how users are pinging the server in regards to ad positions. In addition to this, Quality Scores have impacted impression share and cost per click in the past, so unless some fundamental algorithm changes have been handed down, this appears to be a deflection from the realization of many that Quality Scores are intensely important. Even though Google totally is now downplaying the importance of Quality Scores, they do want you to know a few things about what affects it. For starters, the amount (or lack) of optimization for mobile devices in your ads will have a big impact on how well your advertisements do with them. Google has stipulated that the user’s device is taken into account when ad quality is determined, which means that ads that were designed for desktop use only will not do well on mobile devices or with mobile keywords. A new video is now available from Google that explains what effects you can expect when pinging the server with ads in one format or another. Ad format impacts Quality Score, but it would appear that the effects are not as pronounced as the video would suggest. The video will have you believe that ad format is the most important element of Quality Score, but ad professionals have pointed out that there are discrepancies in the formulas displayed when it comes to calculating bid normalization and other calculations. In short, your ad format does matter, but not as much as Google would like you to believe. Keep in mind that they have a vested interest in preventing us from understanding exactly how it all works. While a couple of minor changes to Quality Scores appear to be in effect today, Google’s updates to the algorithms are not earth-shattering. We believe that by and large, Google simply felt the need to update its content and throw many in the ad community for a loop; every time Google makes a change, people from all over the world freak out in fear that their rankings or performance will suddenly suffer. At the end of the day, your ad format is important, mobile optimization is a must and Quality Scores as a whole do still matter.